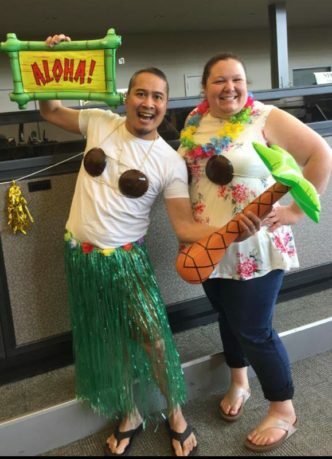 We Want to Buy You Lunch! 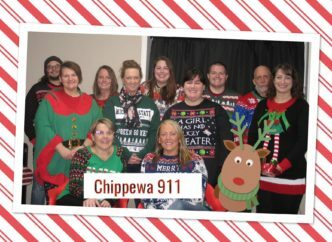 Over the past few years all of our Dispatchers have completed Crisis Intervention Team training for dispatchers. How many localities can say they started a pursuit with a military tanker? I would like to congratulate my coworkers for always giving 110%. 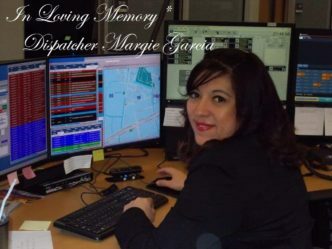 This week we celebrate not only National Telecommunicators Week, but also the life of Police Dispatcher Margie Garcia whom we tragically lost on April 13, 2019, as the result of a motor vehicle accident. No matter what has happened, who’s aggravated at who, or what’s warming up in the microwave the instant something happens that is not a “normal” sounding call we all hunker down. 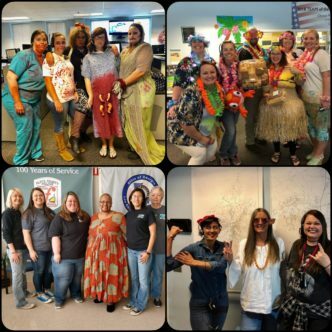 We are a recently consolidated center in Montgomery County, Virginia. We dispatch 4 law enforcement agencies and 11 fire and rescue agencies. 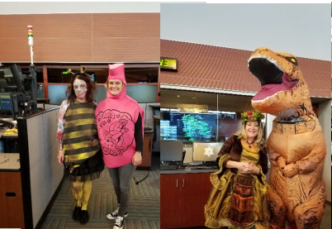 Our main center was damaged In Hurricane Florence. 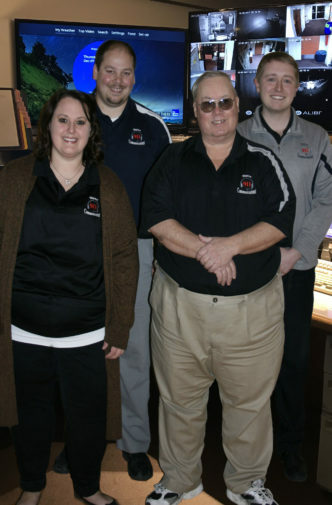 My team has adjusted to working in a much smaller space and we still handle emergency calls with professionalism. First – thank you ALL, a tremendous collaboration of absolutely amazing people, in all parts. 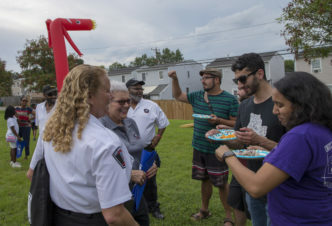 You are your community’s unsung heroes. 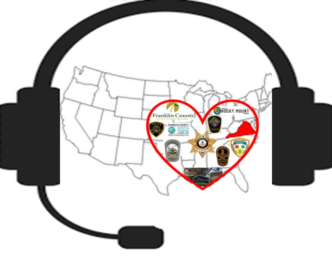 Everyone within this agency is a critical link in the emergency lifeline to providing a service to the community we serve. 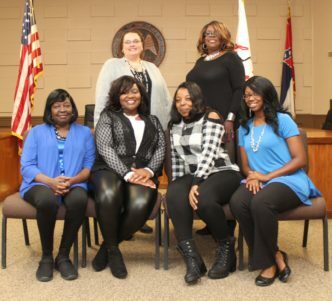 Our team of professional dispatchers have worked so hard over the past few years to collaboratively overcome immense technological and administrative change. When it rains it pours over in Pensacola and OUR Crew GETS IT DONE !! 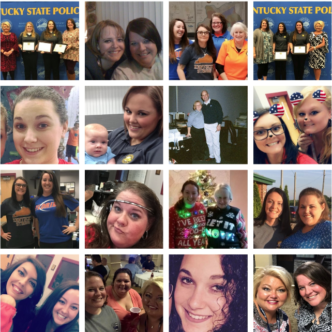 Our center has a lot of skilled dispatchers that help the troopers and public in 23 different counties in middle Tennessee. 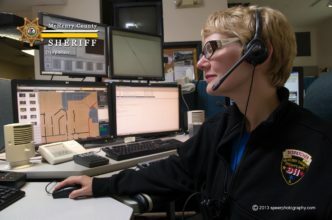 We operate one dispatcher per shift. 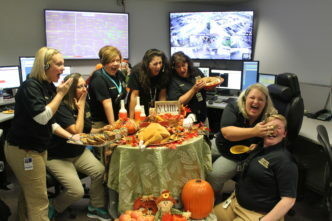 There are times when I don’t think three dispatchers would be enough to handle the madness that’s going on. 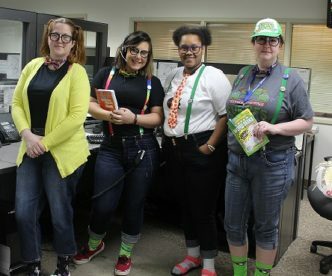 After receiving 7.5 inches of rain within three hours, a flash flooding event occurred causing an influx of emergency calls to Frederick County Emergency Communications Center. 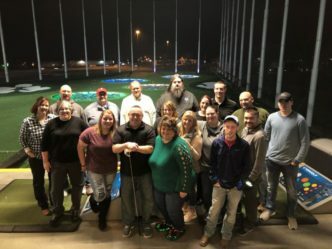 Our team is comprised of a top notch group of selfless and knowledgeable individuals who continuously go above and beyond each and every day. 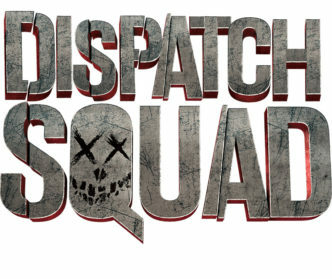 All of a sudden your worst nightmare unfolds right before your eyes, one of your dispatcher is suddenly very ill and it’s unknown what’s really wrong with her. I have never been challenged and stretched so much until I trained for this job. This is one of many examples demonstrating how well our team works together in heightened situations, and therefore makes us great. 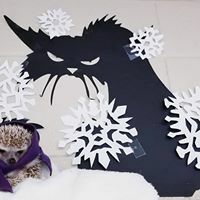 We are the voices in the dark, the calm in the storm, the moment of hope in a dire situation. 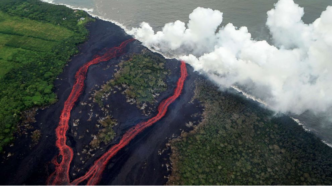 From the moment the initial call came in the team was in all hands on deck mode, and they remained in constant motion throughout the incident. I have some hard working personnel, who go unrecognized by the public for the mission they fulfill every day. We all consider this a career vs. “just a job”. 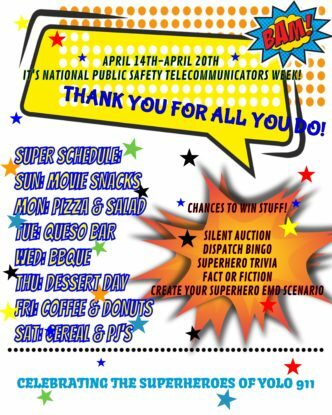 National Telecommunicators Week-Through the Decades! This is a small, but versatile, group that is adept at handling any emergency, big or small, simple or complex. “Small but Mighty” This is how I would describe the team I work with. This past November, the entire nation watched as our department fought the deadliest wildland fire in California history. 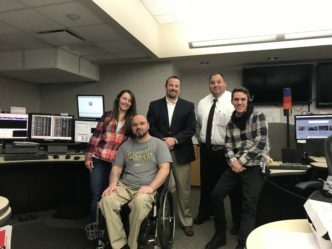 They dispatch on the police radio, fire radio, and send EMS all while still answering the phone calls that come in AND taking bonds for the prisoners for our full service jail. 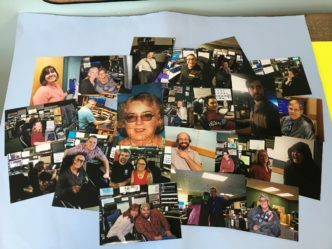 Our radio room is made up of a phenomenal group of people. The experience that we have ranges anywhere from 30 years all the way down to the very first time dispatching. 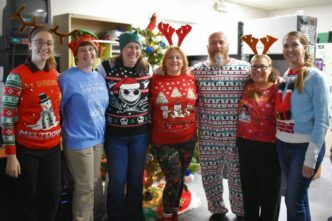 While our department may not be large, we are a very tight-knit group that is more of a family than co-workers. Our shift works like an amazing team all the time but when things hit the fan we come together and work as one well oiled machine! 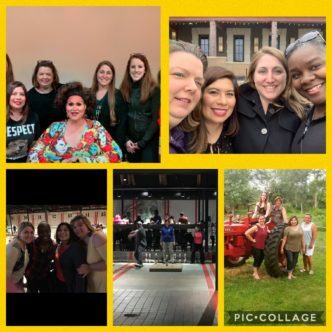 We are the NEW golden girls! 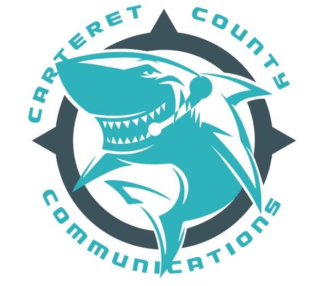 Everyone in the Comm Center knows the importance that seconds can save lives therefore we have the best stats in the county. We would be overjoyed if you vote for us to keep us happy and well-fed. 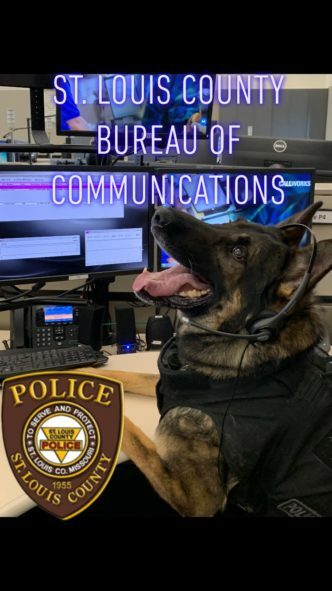 We also promise to provide Officer Yago (pictured here) with a belly rub for each like our agency gets. Hurricane Michael came ashore a few miles from our city. It took me three days to return to work after the storm. I arrived to find them working on backup radios. No CAD and no A/C and little sleep. The average person will not be able to handle this job – it takes a strong-minded dedicated and heartfelt person to do this job. 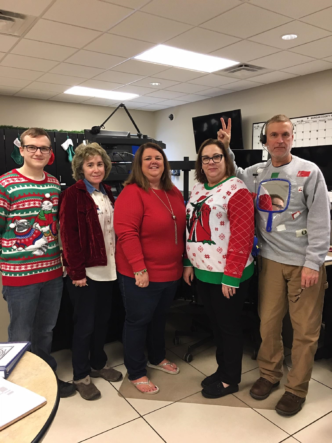 Oldham County (KY) Central Dispatch/911 Center is the sole dispatching center for all responses in a suburb county of Louisville. Together, we have handled winter storms that have caused state of emergencies, tornado, delivered babies, and numerous officer involved shootings. From staffing changes, to consolidation, to technology enhancements (radio system, CAD and soon phones), they buckle down and get the job done. Our job is truly one of the most demanding, stressful, thankless positions there is in a police department. And most of us make it look effortless. People don’t call us to tell us about their wonderful day. They don’t call us to tell us that they love the police. We don’t hear about someone’s great day. We hear their worst. 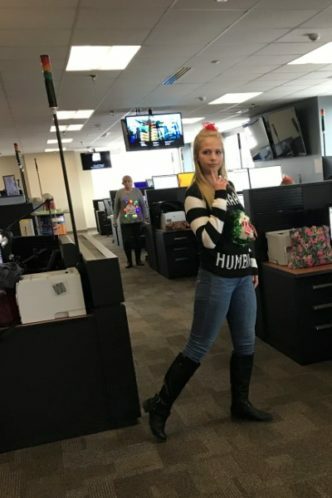 Every dispatcher I have worked around handles every call as if it was someone dear to them, motivated to assist any situation that is on the other end of the phone. 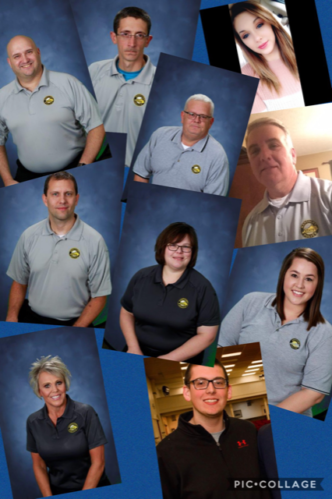 Over a 437 square mile area, there are 89 officers that help keep roughly 180,000 students and 22,000 staff members safe during a normal school day. Most people, if butchering Queen’s Bohemian Rhapsody so poorly the karaoke mic gets shut off, would hang their heads and exit stage left. The chilling fear I sensed in my callers’ voices was nothing short of numbing. It is not until we get a call like this that we fully appreciate the significance of our extensive training. 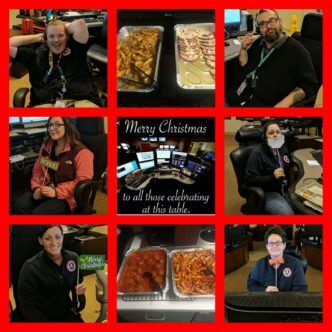 We’re a small center in North Idaho and have a great little dedicated group of dispatchers that have been through some really horrible incidents, as do most in this field. 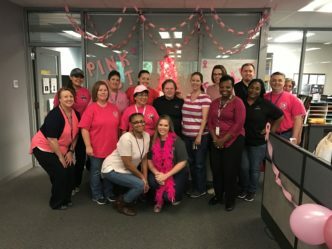 Gwinnett County 911 Dispatchers are a team as a whole. Although we work four separate rotations we still continue to assist each other across the board. 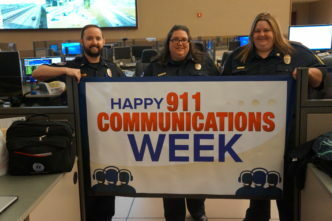 I work with an awesome group of telecommunicators! 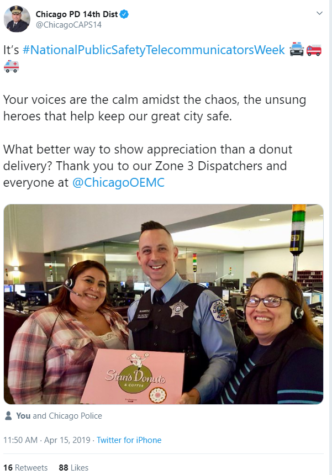 We have been through tornados, floods, blizzards, an active shooter situation and two LOD deaths together. 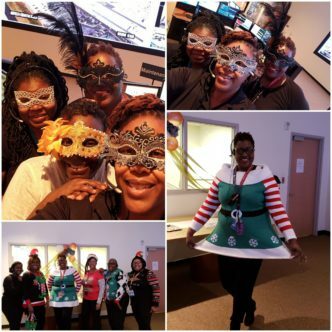 Miami-Dade Fire Rescue Dispatchers and Supervisors dispatch approximately 230,000 Fire and EMS emergencies per year. Covering the whole state by yourself can get very hectic at times. On April 3, 2018, at approximately 12:45 p.m., an active shooter incident took place at the YouTube campus located in San Bruno. 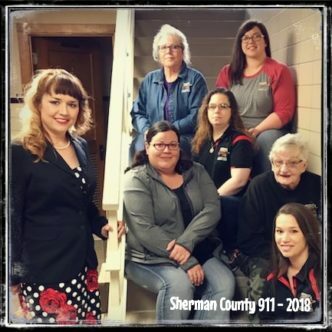 Is staffed with 16 full time telecommunicators who have a passion to help the community and have dedicated their lives in assisting others in their time of need. 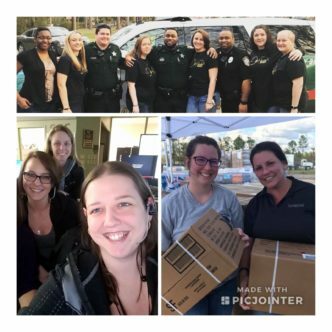 When we think of who deserves to be treated to lunch, we thought our neighbors over at MCSO would be surprised and pleased to have a treat. 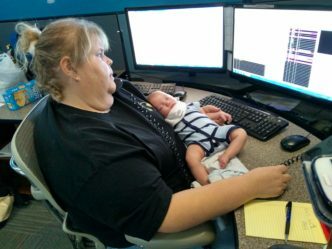 Our dispatch center works hard day in and day out. 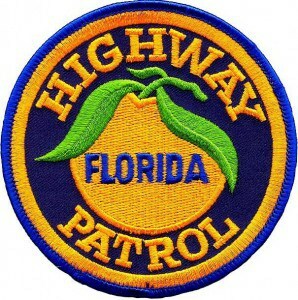 We are the busiest FHP Communication Center in the state. 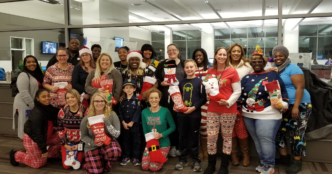 Floyd 911 is a group of 31 individuals that come together as a family to serve their community as if they were helping one of their own. 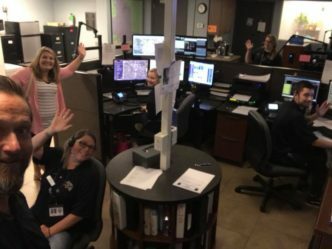 We are very busy 24/7 as most centers are however we are a unique control center for the county. 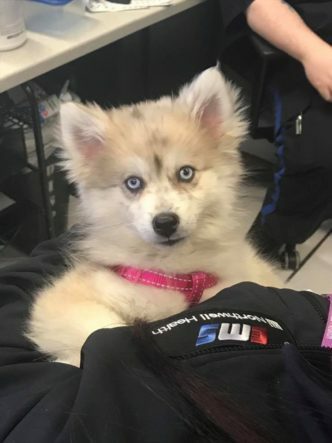 “Woof” everyone! I think that means hello in the human world. 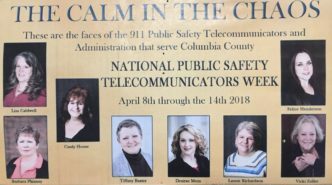 My name is TC, that’s short for Telecommunicator. 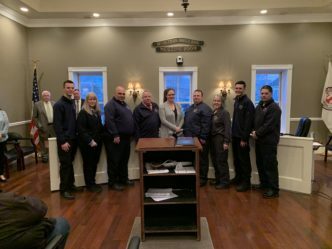 We have not only improved the safety and response capabilities of our public safety personnel, but also the safety and well-being of our community. 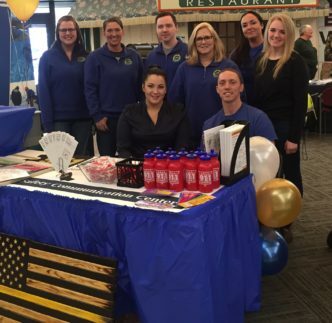 We are responsible for providing service to the soldiers, family members, and civilians on an Army installation. 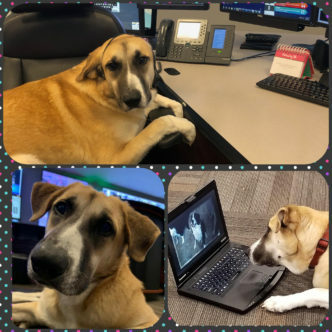 The major incidents of 2018 made for some overwhelmingly long days in our communication center. I only have 3 years on so I get to work the late shift … What I love especially about our shift is that we all work together, we don’t let others fail. Our geographic call answer area is 133,318 sq km or 82,840 sq miles and we provide fire dispatch services through the entire region. To be a part of this family. I was gonna have to fight. I felt like a freshman at school. A new school. And it was terrifying. Often, we are called silent heroes that sometimes are forgotten. We strive to be heard and brag about not only how hard we work, but also about being human. 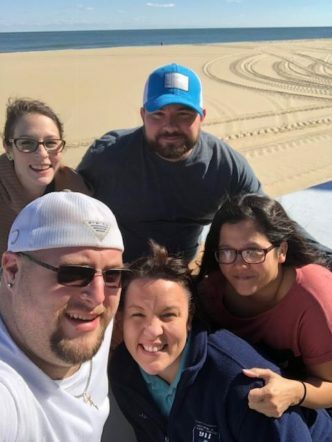 All of our team members are EMD-certified, providing emergency childbirth, CPR, bleeding control and other life-saving instructions over the phone before first responders even arrive. 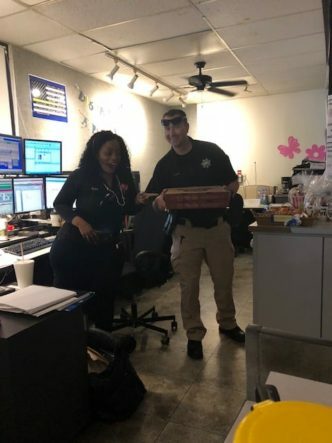 As the bravo platoon shift commander, I wish all centers could be bought lunch. These are a fine group of people, who have had very little recognition (just like a lot of agencies). 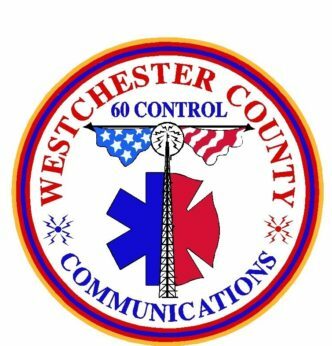 Our center has dealt with tragedies such as the 911 terrorist attacks to Super Storm Sandy and beyond. 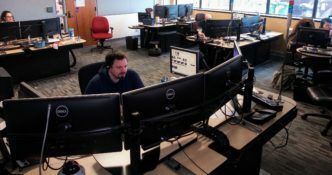 The West Safety Services Emergency Call Relay Center (ECRC) might be the busiest 911 call center you’ve never heard of. Our comm center has been through the struggle for the past four years as we consolidated down into one center. 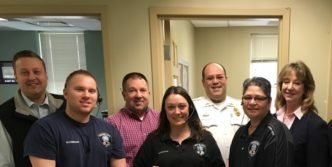 APCO should buy my team at Lewiston Auburn 911 lunch because they are one of the busiest PSAP’s in the State of Maine and they are Rock Stars! I have watched the Center completely reorganize and come out as two professional workplaces. 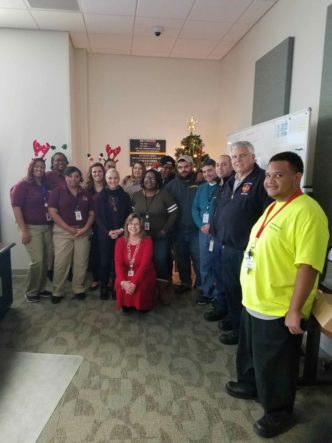 The Richmond Department of Emergency Communications is the second-busiest 911 center in Virginia, receiving 446,191 emergency calls in 2018. 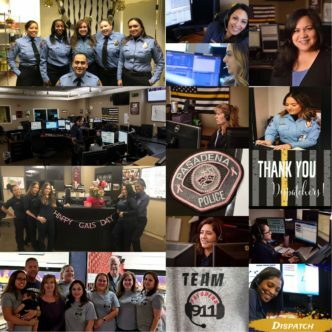 While we know that all dispatch centers are great, we think our team is amazing and they demonstrate professionalism, dedication, and compassion every day. 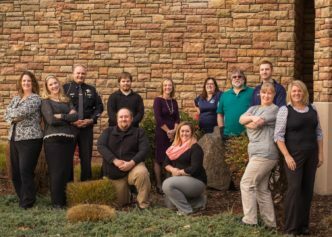 What makes Fayette County 911 THE Dream Team? 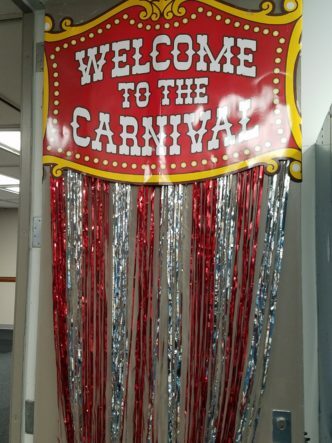 Where should we begin? 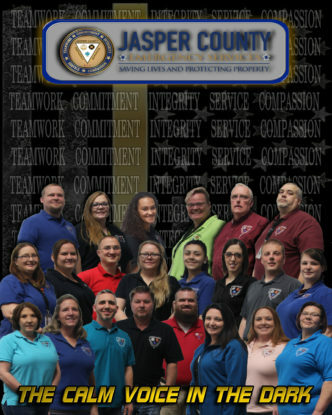 At Jasper County Emergency Services, we aren’t just co-workers/employees, we are a work family, a WAMILY. 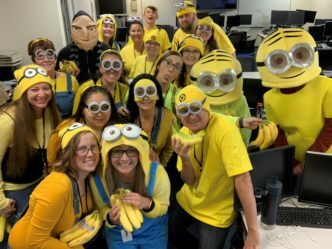 Whether handling officer-involved shootings or a massive (7.1) earthquake, this resilient team digs deep and works together like none I have seen. While I could bore everyone with the stats on my center and all the work we do, it’s really preaching to the choir. The team I work with deserves to be treated to a free lunch for all the hard work they do everyday. 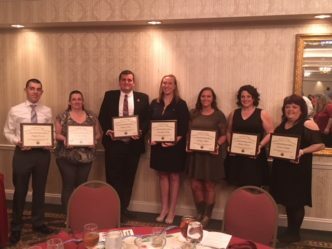 There are 15 full-time and 7 part-time, exceptional, dedicated and hard working professionals that are spending their time making a difference. Just like every other agency out there…we all work long, hard hours. 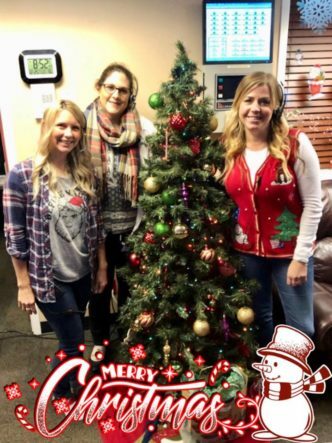 We miss holidays and special events with our families. 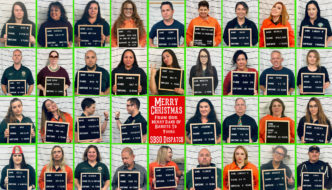 We would love for APCO to buy use lunch because food makes us happy and we make an awesome Christmas card!! 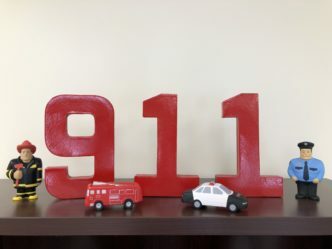 We are a rural Iowa community and in 1993 did not even have 911 addressing in place. 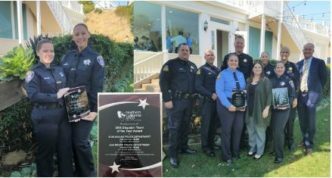 HCFA is a strong and stable 911 dispatch communications center that provides services to fire/EMS agencies in parts of San Diego County. 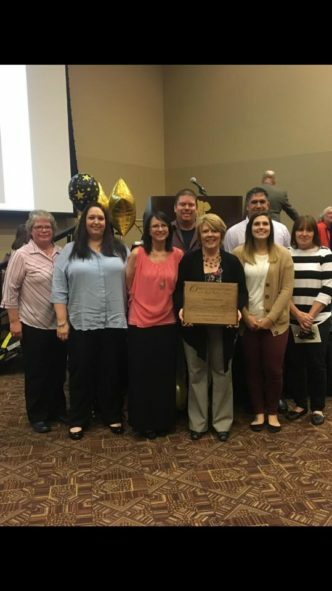 “The Best of the Best,” every employee here goes above and beyond the call of duty every day. 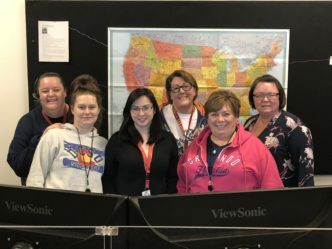 Our telecommunicators are both call takers and dispatchers simultaneously; they work long hours and often stay past their regularly scheduled 12 hour shifts. 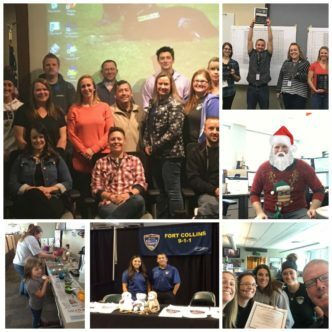 Throughout the past year, Denver 911 faced extraordinary challenges and circumstances with compassion, kindness and grace. 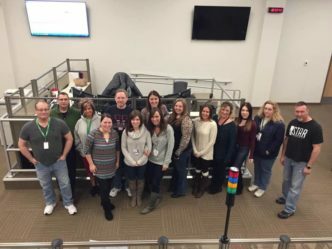 Whenever some kind of tragedy occurs in our county, our dispatch center tends to work together in the chaos that comes with it. 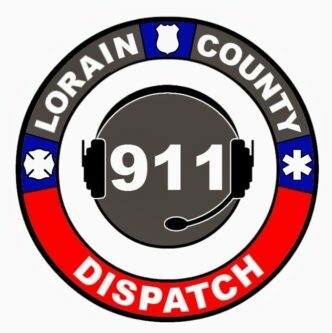 Northern911 offers Voice over Internet Protocol (V911) emergency call taking to carriers across North America. 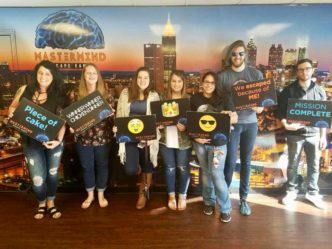 On November 28, 2016 I became the person on the other end of a 911 call. 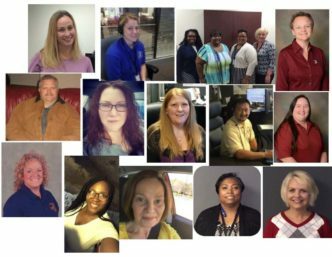 We have an amazing staff of dedicated 911 professionals who consistently go above and beyond. 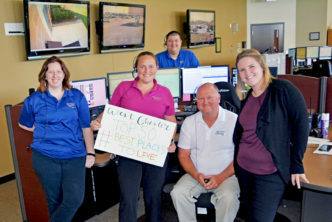 Roanoke is the “Star City” of Virginia and its E-911 center happens to be full of stars. 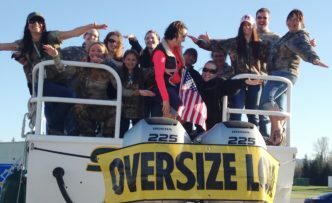 We work in a small tight knit community serving folks we know on a first name bases. From August 2017 to March 2018 we suffered great loss. 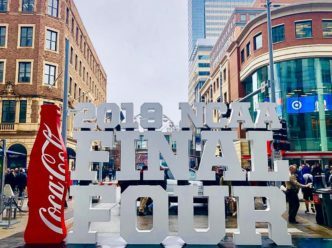 We loved pitching in at APCO 2018 and working together to make such a successful event. 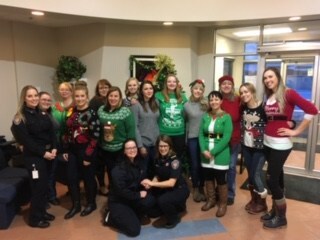 Our staff continues to shine and support each other, the community and other agencies; standing up to any challenge presented to us. 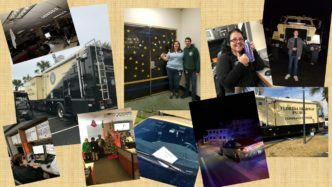 I have been with the Staunton City Police Department a little over a year and have seen what our telecommunications center does on a daily basis. 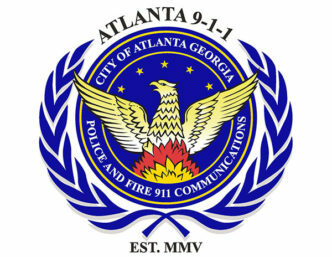 The City of Atlanta E911 Communications Center is deserving of lunch because we ARE the true Super Bowl CHAMPIONS! 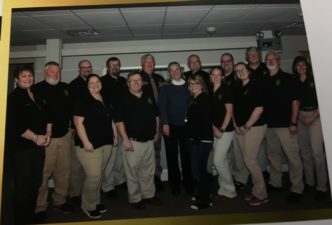 We are a fairly newly consolidated center, and our dispatchers have suffered a ton of changes over the last few years. 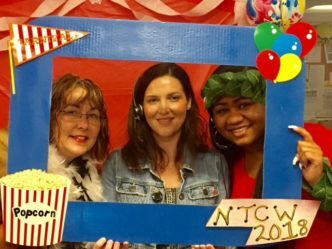 The BEST TC WEEK EVER!!!! As the liaison for the Tallahassee Fire Department to the CDA, I wanted to take a moment to tell you about our “First” First Responders. 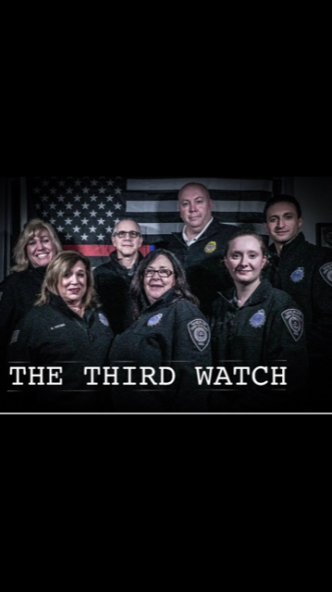 I have seen this team deal with an impending hurricane, a school shooting and responding to the call for help from a neighbor county after Hurricane Michael. 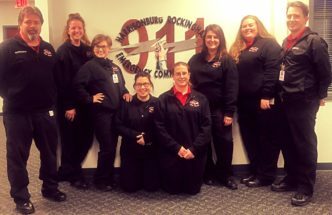 This past year, the Shawnee telecommunicators faced continuous change, a nation-wide staffing shortage, as well as, the evolution of the 9-1-1 industry. 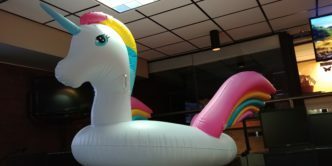 In addition to being the most fun, comedic, and entertaining group you will ever meet, we also have a chief-approved, live-in unicorn. It sounds cliche but we truly are a family that will do anything for each other. 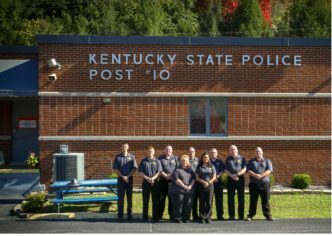 In 2018, the whole center stepped up and took massive amounts of training, in addition to their daily dispatching duties. 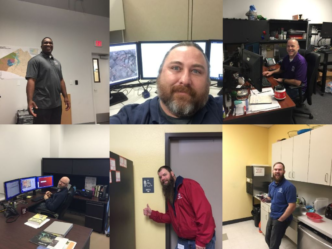 I wanted to share a story that shows the team’s dedication to our jobs as well as a proven testament to what we are capable of. 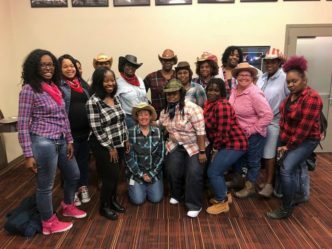 While our dispatch family knows how to have fun no matter what we are doing, our jobs are serious and we get the job done when called upon. 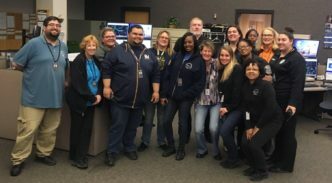 In the short time since our Consolidated Dispatch Center went live in October 2018, our Telecommunicators have done a spectacular job. “I am surrounded by 1000 people, Miami!” yelled the frantic Trooper during a recent demonstration in our city.